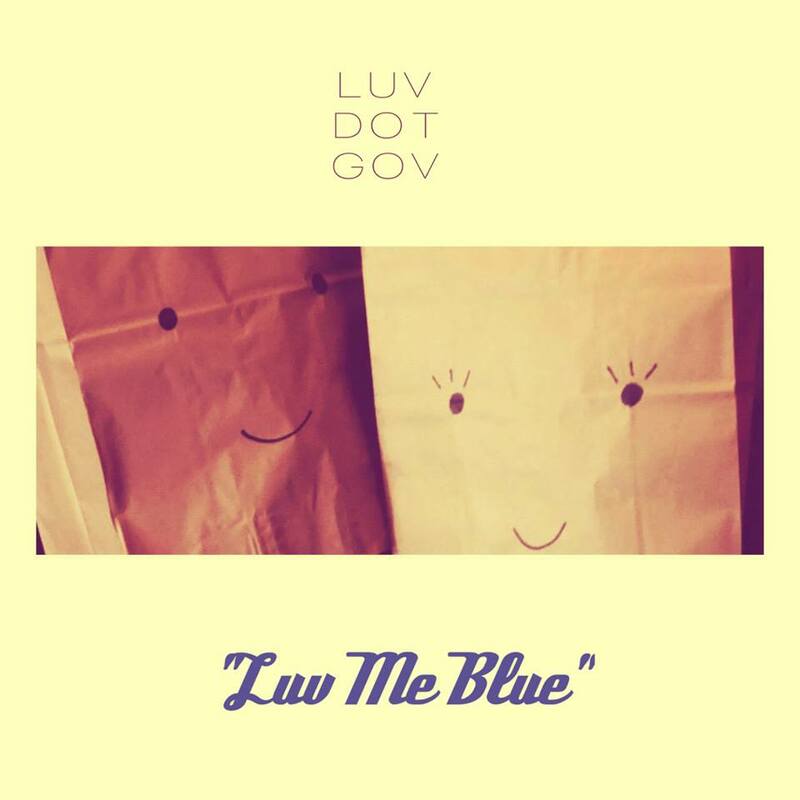 Luv Dot Gov, the brainchild of Matthew Pop (vocals/guitar) and Stevie Seaweeds (drums/vocals), was born on a rooftop in Brooklyn in the summer 2016 as a response to dark, trying times — both personally and politically. The band would quickly become a vehicle for some of the best emotionally honest power pop this side of the 90s. Thankfully, they were armed with the finest collection of tunes penned by Pop over the course of his decades-long career, marrying heartbroken but hopeful lyrics to sticky-sweet melodies — all set to precisely arranged, chunky down-tuned guitars. By fall 2016, the fledgling Luv Dot Gov had recruited Sean Egan on bass, and had a few local gigs under their belts. However, stressed and depressed in a post-election US, Pop ran away to Scotland for a brief respite in November. It was here he linked up with Graeme Young, a producer and operator of Chamber Studio in Edinburgh. A plan was soon hatched to record Luv Dot Gov’s debut album abroad, taking advantage of Young’s top notch equipment, expertise and extensive network of first-class musicians. After another smattering of stateside and UK shows, Matt and Steve decamped to Scotland for the spring of 2017 to lay down tracks for the record. Here, isolated from the stressors of the States, the songs blossomed into intricate but accessible pop-rock anthems, equally suited for blasting out a car stereo or headphones-on introspection. 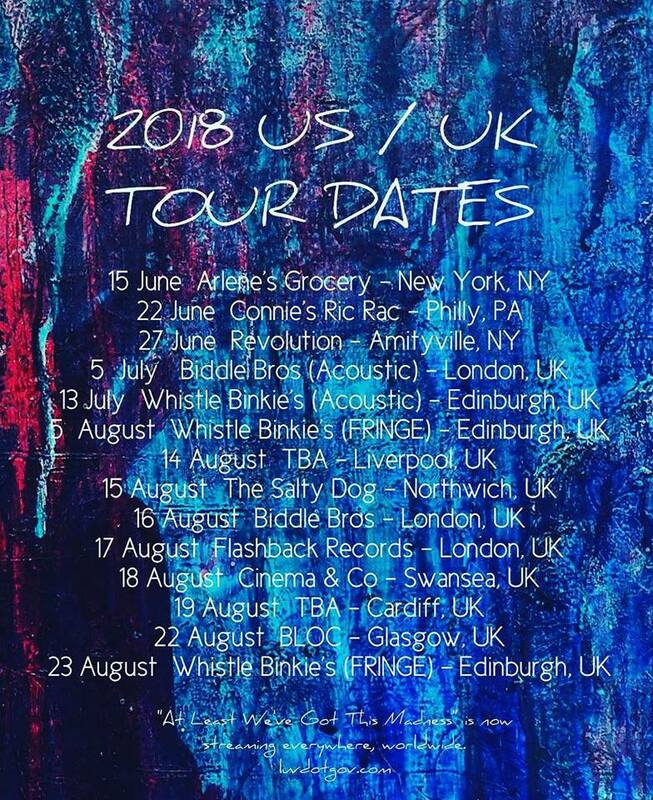 Upon Matt and Steve’s return to New York that summer, the band rounded out its roster by bringing in Brandon von Fehr (lead guitar) and Patrick Fischer (keyboard/synth). Now equipped to capture the record’s expansive arrangements live, the new five-piece lineup started honing their skills, sharpening their set into a muscular, airtight slice of indie rock. Soon thereafter, they began booking gigs at venues both trendy and historic (Pine Box Rock Shop, the Bitter End), winning over audiences with their lively stage presence and nostalgic yet forward-thinking sound. Meanwhile, Young continued refining tracks across the pond, and the resulting album; the hooky and bittersweet “At Least We’ve Got This Madness,” is ready to make its debut on May 18th. In honour of its release, the band will perform the album in its entirety at The Local in Queens, NY on Friday, May 18th but you can hear the first Single “Luv Me Blue” TODAY!